Have you started planning how to rock your year-end fundraising? But hey, the stats don’t lie. Almost a third of all annual giving occurs of December. Twelve percent of all giving happens in the very last three days of the year! And it might surprise you to learn that only 7.7% of organizations start as early as September. Listen, I know what it’s like to have two weeks to pull a campaign together because I was hired in November and the organization didn’t plan ahead :). 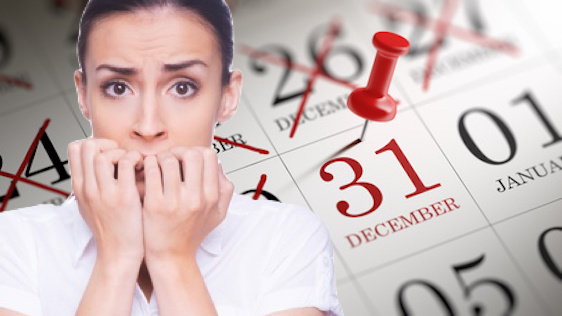 Smart fundraisers know: the time to start creating your year-end fundraising plan is now. So what should you be thinking about? As the old truism goes, “Look back to where you have been, for a clue to where you are going” Now is the time to review last year’s results, and where you are now. If your current fundraising plan is forecasting $500k in foundation funding and you’ve already had a few applications get declined, how do you plan to make up the shortfall? What did you raise last year at year’s end? Did you meet your goals? Why or why not? Now is the time to set goals for this campaign. Goals that go beyond mere dollars. Now’s the time, too, to find and develop your story. One that carries emotional impact and resonates with your donors. Is it a story that works for print, email, and social media? As you conduct your interviews, look for a turn of the phrase that brings a tear to your eye. Your story will form the crux of your campaign theme. When was the last time you sent an impact update or a thank you…just because? Plan on incorporating a few touches before your campaign gets started. Need inspiration? Download our 12 Touch Portfolio. Great fundraising — in other words, building the kind of lasting relationships that take your prospect from the first gift to monthly to major to bequest gifts — begins and ends with gratitude. If you’ve been making gratitude a daily habit, I salute you. But even if you haven’t, now is the time to begin organizing a few thank-a-thons. You can never thank too many times. Begin now to segment your database. You simply cannot be donor-focused without segmentation. One fundraising appeal does not fit all. Think in terms of the different audiences in your database: LYBUNTS, SYBUNTS, monthly donors, loyal donors, major donors, mid-level donors, prospects, vendors, volunteers, board members, former board members, etc. How deep can you go? Trust me. This can make the difference between a lackluster campaign and one that exceeds goals. Consider too your donors’ reasons for giving. Here’s where your emotional story comes in. But it goes beyond the letter. Start thinking about your direct mail package. What will your reply device look like? Will you incorporate photographs or lift notes? Now is the time to begin recruiting board members to write notes. Even the smallest shop can produce a great package – if they know the secrets. How will you integrate your campaign across all channels — your direct mail, your email, your social media, and website? Think about implementing a homepage takeover. And by all means consider creating a thank you email series like John Haydon shared in our April 24 Motivate Monday session. If you’ve been following me for any length of time, you know that I am not a fan of giving days. I do love how one subscriber turned Giving Tuesday around to put the focus on their donors. And many, like subscriber Karen Watson, have found great success recruiting new donors via Giving Tuesday. Always begin with the end in mind: how will your organization be converting #GT donors into regular donors? Here’s where you can have fun and get creative! What about putting together a fundraising menu (hand-write sticky notes, make donor thank you calls, hand-address envelopes) like Andy Robinson demonstrated in a recent Motivate Monday — specifically for year-end fundraising? Pass it around at your next board meeting. It’s never too early to line up your ambassadors. And speaking of ambassadors, what role are your volunteers playing? Here’s where many organizations leave money on the table. Make sure that you’ve got a follow-up plan in place before you begin. Phone calls, emails, reminder postcards, letters — how are you reaching out to non-responders? If you’re looking to explode your year-end fundraising in ways you never thought possible, plan on joining me for our live year-end fundraising masterclass. 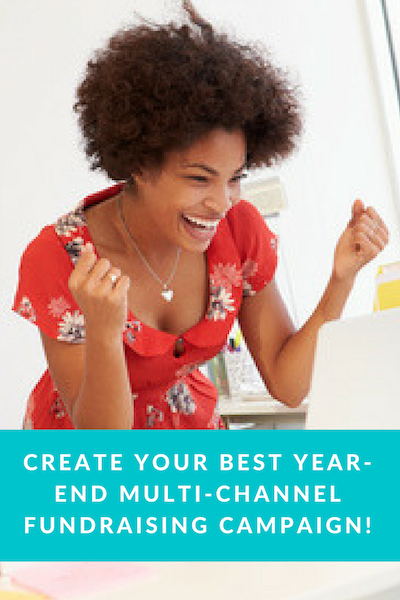 Beginning August 22, through the month of September, you’ll be guided step-by-step through a fail-safe plan to supercharge your year-end fundraising with a multi-channel campaign. To a foolproof plan for maximizing GivingTuesday. And I’ll be with you every step of the way. Click here to learn more. Previous post: When is an opportunity NOT an opportunity?